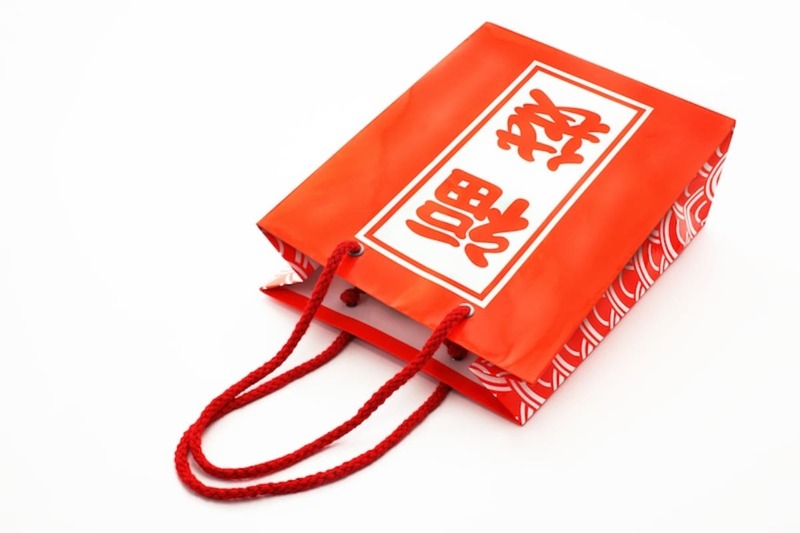 If you’ve ever visited Japan or Japanese online shops around New Year's, you’re bound to have seen some mysterious lucky bags called fukuburo appearing on the shelves. The Japanese term 福袋 (fukuburo) comes from the union of two kanji: fuku, or good fortune, and fukuro, meaning bag. 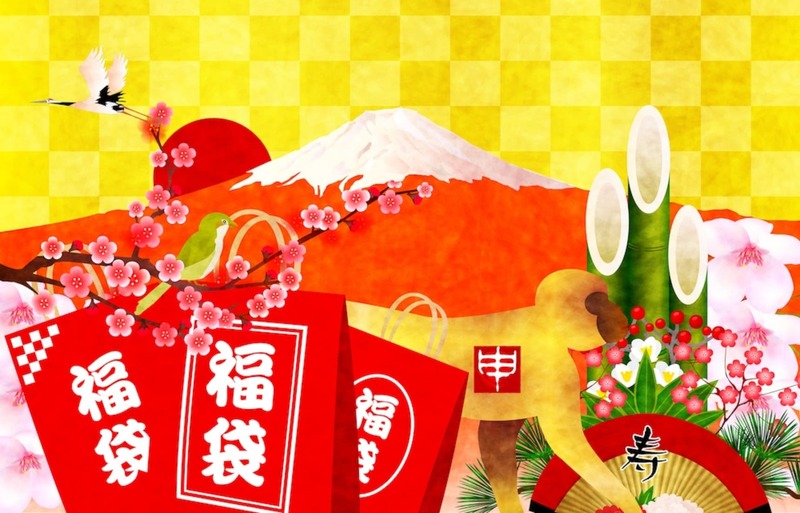 Fukubukuro typically appear in Japanese shops on New Year's Day: they're closed grab bags, randomly filled with a shop’s products sold for a substantial discount—usually 50 percent or more. Nowadays some stores also reveal the contents of the bag, but most will keep the secret or reveal just the general category of the goods. Fukubukuro are a good way for stores to sell leftover merchandise from the previous year, and for customers to steal some great deals. It’s not uncommon for famous shops to see very long queues before opening. Some people are also into them for the fun and thrill of getting a surprise! The concept of fukubukuro was actually created by the Ginza Matsuya department store in Tokyo in the late Meiji Period (around the beginning of the 20th century), but sales started to become a big thing after World War II. While clothing fukubukuro still seem to be stealing the scene, over time also other kinds of shops have embraced the lucky bag craze as well, with even chains like Apple or Yodobashi Camera offering them. This Japanese tradition has even been exported abroad to some extent, with some shops like the Sanrio stores in the U.S. selling fukubukuro of their own. 3. Now Some Advice for the Best 'Fukubukuro' Experience! Fukubukuro are fun: There's an element of surprise since you don’t know what you might find inside, and at the same time you can get good bargains out of them. So if you’ve decided to give them a try this year, here are some pieces of advice from fukubukuro enthusiasts! Since you don’t know what kinds of things you'll get, try to choose a brand or shop that you love in general, so there will be a higher chance of satisfaction. Additionally, when it comes to clothes, some fukubukuro are divided by size and some aren't; in the latter case, it’s smart to pick a brand that you know will fit you well, since you can’t return the items you'll get. Don't feel like spending New Year's lining up for hours but still want to get a good deal? Check the brands’ online shops beforehand. Some stores will sell fukubukuro online too, and you'll receive them in the comfort of your home without having to stand outside in the cold. In order to avoid long queues, some shops accept pre-reservations of fukuburo bags that you'll be able to pick up at the shop. If you have the necessary Japanese skills, check if your favorite shop has this policy and you might not have to wait out in the cold! d) Otherwise, be prepared to wait! Famous shops will have very long queues. And by long, we mean long: in 2008, the Ginza Matsuya department store had a queue of around 6,700 people as reported by the Japan Times. So make arrangements to be there early in the morning (most sales start at 9 a.m.), and stay warm! For clothing shops in particular, in certain locations (usually malls catering to a younger audience) it’s a common practice for people to wait outside and swap fukubukuro items. So it might be a good idea to take a peek at your fukubukuro right away and see if there's anything you really want to get rid of, because someone else might want it. Keep your eyes open for people waving their items in the air: they're probable trying to trade them! If you can’t find anyone to trade with, you can still resell items on websites like Yahoo Auctions or eBay, or sell them to your favorite second-hand clothing shop. f) ...And don’t forget the other days! While the most popular shops will sell out fast, fukubukuro are theoretically available for around a week after New Year's. So if for some reason you couldn’t go and grab a bag right away, don’t forget to check the shops for leftovers in the following days! Happy New Year... and Happy shopping!